Find Franklin, IN Homes for sale. View Photos, Maps and MLS Data Now! You Don'T Want To Miss This!! ! MLS#21635394. Norton Premier Real Estate. Features: Vaulted ceiling in the great room & kitchen Staggered kitchen cabinets Finished garage in the kitchen with a Toffee stain MLS#21633564. Ridgeline Realty, LLC. 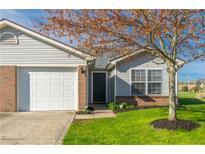 Cumberland Commons - The location of this home is great! Come see it today! MLS#21633799. Singh Realty Group Inc..
Heritage - MLS#21635082. HIVE Realty Group. living room, Dining Room, kitchen, 2 Baths, Heated and cooled sunroom, 3 bedroom, Bonus room, basement has an outside and inside entrance. 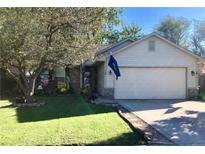 MLS#21634995. Carpenter, REALTORS®. 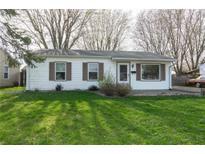 West Parke - Home has a brand new roof, HVAC less than two years old, fresh interior paint, and all appliances included! MLS#21634829. RE/MAX Advanced Realty. Lochry - Paved asphalt driveway leads to large fenced backyard with large mini-barn, Close to schools, shopping and interstate. Priced to Sell ! ! MLS#21634849. Family Tree Realty, LLC. 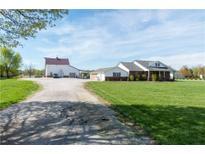 Knollwood Farms - Fresh paint throughout - don't miss it! MLS#21633337. CENTURY 21 Scheetz. All appliances and 1 year home warranty included. MLS#21633260. RE/MAX Results. Conveniently located to shopping, dining, and other amenities in Franklin. MLS#21632901. Whalen Realty Group, LLC. 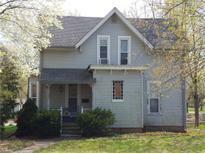 Walk to Downtown to Historic Artcraft, Coffee shops & Eateries. MLS#21633393. Bruce Richardson Realty, LLC. New roof 2012, HVAC 2015, Water Heater 2017. This is a must see!! ! MLS#21633180. United, REALTORS®. Hamilton And Oyler - Close to everything Franklin has to Offer. MLS#21633049. Keller Williams Indy Metro S.
Conveniently located off of US31 in popular Knollwood Farms with easy access to shopping, dining and I-65. MLS#21631581. F.C. Tucker Company. 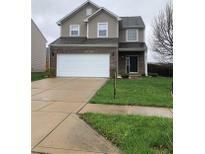 This home has lots of room inside and out in one of Franklin's popular areas! MLS#21631482. Keller Williams Indy Metro S.
Great location to downtown. Possession at closing. 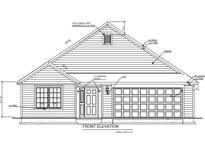 MLS#21631951. My Agent. Heritage - This home is a must see. MLS#21631483. RE/MAX Results. Heritage - Amazing 3 bedro0m 2 bath house MLS#21627404. RE/MAX Ability Plus. Knollwood Farms - Move in condition, ready for summer fun. MLS#21631453. Keller Williams Indy Metro S.
Pheasant Pointe - Upstairs you will find 3 large bedrooms and Bonus room great for the kids or man cave! This home is Move-In Ready! MLS#21631367. Steve Lew Real Estate, LLC. Come see for yourself the thoughtful design put into this home! 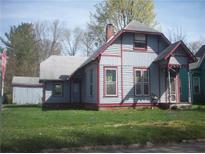 MLS#21630977. O'Brien Team Realty. Location within walking distance to downtown festivals in the quietness of suburban living. MLS#21630633. Carpenter, REALTORS®. Don't miss this opportunity for a great spot in the country. MLS#21630289. Keller Williams Indy Metro S.
Located in popular Knollwood Farms, this home is conveniently located off of US31 just minutes shopping, restaurants, entertainment & I-65. MLS#21630486. F.C. Tucker Company. Tenant Occupied. Please be patient to see. MLS#21630390. Carpenter, REALTORS®.